Udaipur. 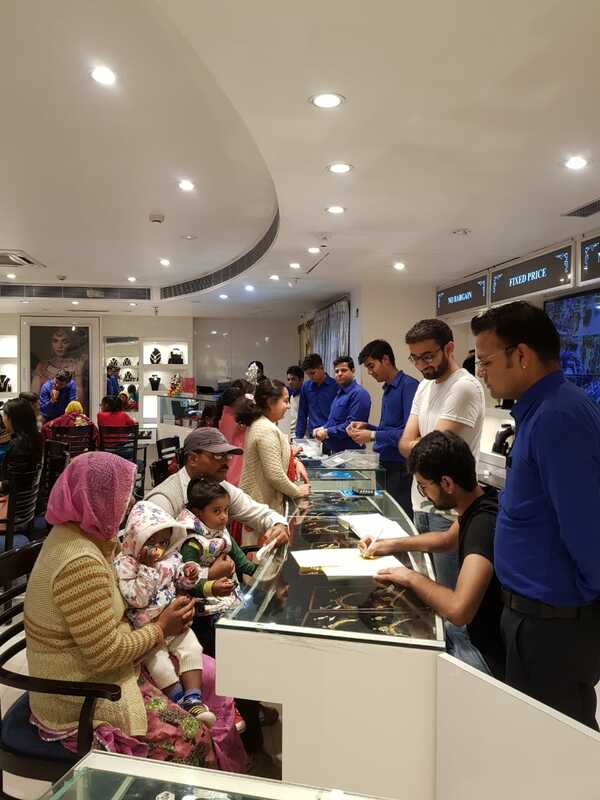 From time to time, Sojatia Jewelers launching various schemes for the benefit of the customers so that people can take advantage of those schemes to safeguard themselves and their future children. The customers are agreeing to this and depositing old gold for converting their old jewelry into new jewelry. Dhruv Sojatia said that the same old gold jewelry brought to our shop is being melted in presence of a customer, gold was tested on the chareterm's purity. That gold is converted to 916 Gold. After 10 months, instead of that gold, the 916 hallmarks new alt design will be given the jewelry without any shopping charges.